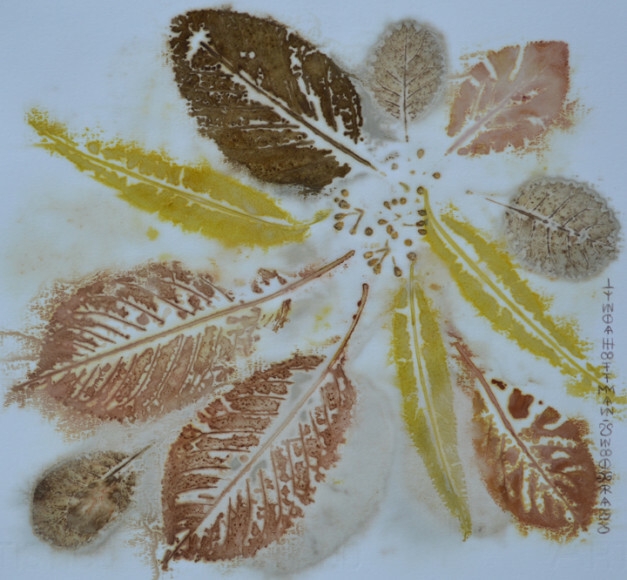 Local area artist Lynda Hoffman-Snodgrass will be exhibiting “Natural Elements”, a series of ecoprints on paper, during the month of March at the Art & Soul Gallery in Ashland. These one-of-a-kind ecoprints are created by steaming leaves and other organic materials against paper. 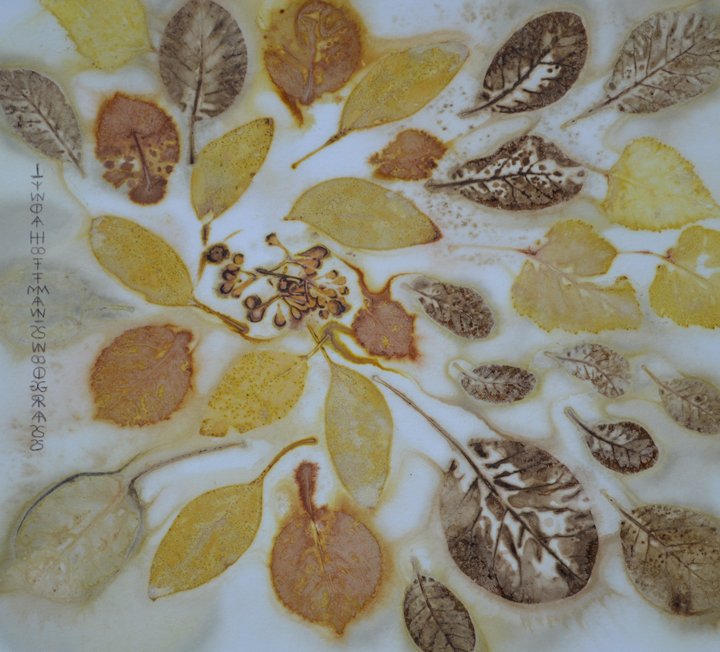 The impressions left on the paper are from the pigments released by the leaves. A resident of the Rogue Valley for over 40 years, Lynda is well known for her work in watercolor, the Natural Elements ecoprint series is an exciting new departure for her.